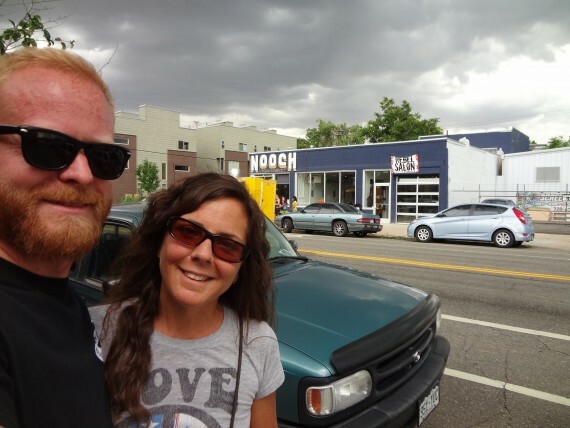 We recently discovered that there is a “vegan market” in Denver! Jeff was at the dentist’s office and was talking to the dental hygienist about being vegan. She asked if we’d ever been to the vegan market. We had no idea the place even existed. 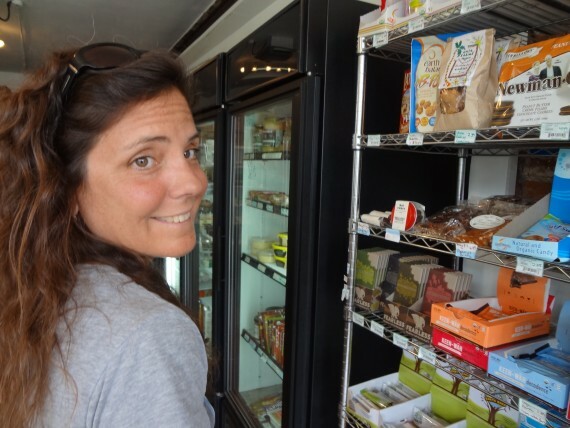 Come to find out, there is an all vegan store close by to us. Try a Google search for “vegan market”. After discovering one existed I entered this search into Google and Google was smart enough to return Nooch Market at the top of the results. One Saturday afternoon, we decided to check it out. This place has so many hard to find vegan items and the staff was awesome. They told us if we are ever looking for an ingredient and we can’t find it, just let them know and they will see if they can get it. I can’t tell you how long it’s been since I’ve been to a store and haven’t had to read the labels for non-vegan ingredients! Here are the items we decided to pick up. Total: around $65. We were thrilled to find Teese. We discovered Teese on a trip to Chicago. We saw it in Whole Foods while we were there so we assumed we’d be able to get it back at home at Whole Foods too. No such luck. Whole Foods doesn’t carry Teese in the Denver area. One type of Teese is made specifically for macaroni and cheese. Simply cook up your macaroni noodles and squeeze the Teese out of the package onto the hot noodles. Stir and enjoy! It was great when it was freshly made but a little funky as leftovers once it had been refrigerated. We also found Vegan Ricotta cheese, taco seasoning without any dairy, reduced fat Veganaise and Justin’s peanut butter cups. All vegan! We also found two different kinds of noodles, one made from beans and the other with chia. And lastly some seitan made right here in Denver. We used the vegan ricotta to make some manicotti and it was delicious! That recipe, along with an alternate way to make it in case you can’t find vegan ricotta, will be coming soon. Run a few Google searches. You just might find a local, vegan market you can support and no longer have to purchase hard to find items online. 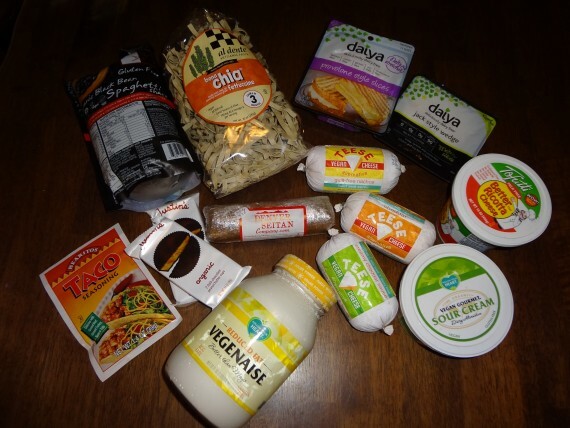 Where do you buy your hard to find vegan items? 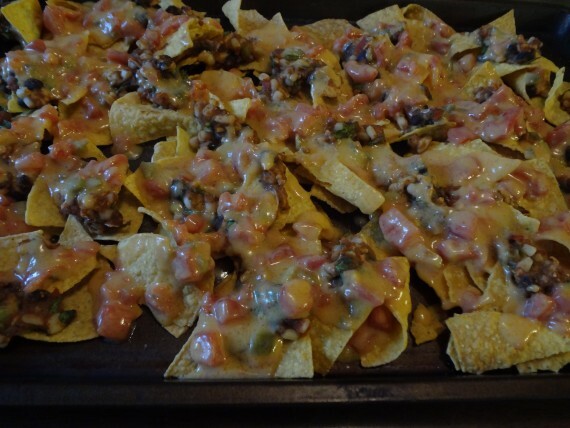 Here are some nachos we made with the Vegan Teese Cheese. Yum!